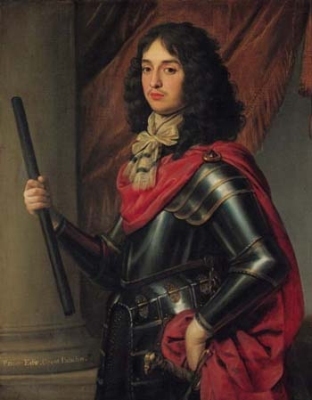 Rupert von der Pfalz, Duke of Cumberland was born on 17 December 1619 at Prague, Czech RepublicG. 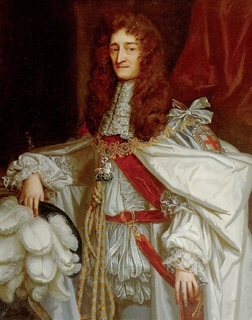 He was the son of Friedrich V von der Pfalz, King of Bohemia and Elizabeth Stuart, Princess of England.3 He died on 29 November 1682 at age 62 at London, EnglandG. [S323] Sir James Balfour Paul, The Scots Peerage: founded on Wood's edition of Sir Robert Douglas's The Peerage of Scotland (Edinburgh, Scotland: David Douglas, 1904), volume I, page 27. Hereinafter cited as The Scots Peerage. [S6] G.E. Cokayne; with Vicary Gibbs, H.A. Doubleday, Geoffrey H. White, Duncan Warrand and Lord Howard de Walden, editors, The Complete Peerage of England, Scotland, Ireland, Great Britain and the United Kingdom, Extant, Extinct or Dormant, new ed., 13 volumes in 14 (1910-1959; reprint in 6 volumes, Gloucester, U.K.: Alan Sutton Publishing, 2000), volume III, page 571. Hereinafter cited as The Complete Peerage. [S6] Cokayne, and others, The Complete Peerage, volume II, page 631. [S11] Alison Weir, Britain's Royal Families: The Complete Genealogy (London, U.K.: The Bodley Head, 1999), page 249, says 10 March 1654. Hereinafter cited as Britain's Royal Families. 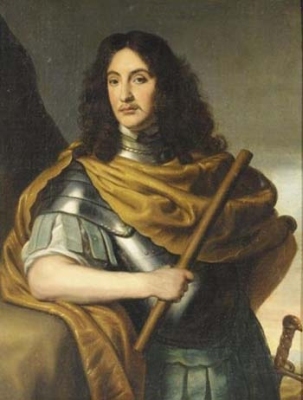 Edward Pfalzgraf von Simmern was born on 5 October 1625. He was also reported to have been born on 6 October 1624 at The Hague, The NetherlandsG. 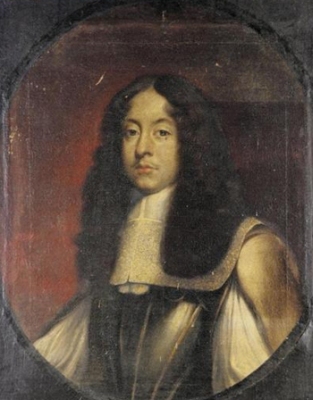 He was the son of Friedrich V von der Pfalz, King of Bohemia and Elizabeth Stuart, Princess of England.2 He married Anne de Gonzaga, daughter of Carlo I de Gonzaga, 8th Duca di Mantova and Catherine de Mayenne, on 4 May 1645 at Paris, FranceG.3 He died on 10 March 1663 at age 37 at Paris, FranceG. 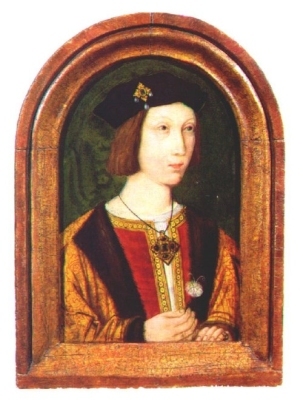 He gained the title of Pfalzgraf von Simmern. He gained the title of Herzog von Bayern. 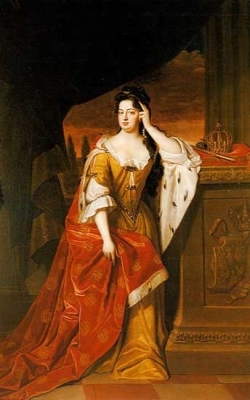 Charlotte Landgräfin von Hessen-Kassel was born on 20 November 1627. She was the daughter of Wilhelm V Landgraf von Hessen-Kassel and Amalie Elisabeth Gräfin von Hanau-Münzenberg. 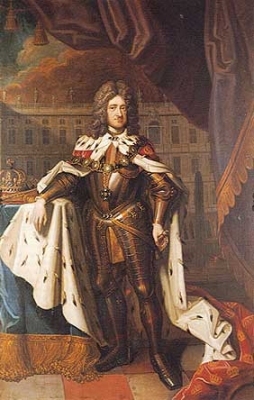 She married Karl I Ludwig Kurfürst von der Pfalz, son of Friedrich V von der Pfalz, King of Bohemia and Elizabeth Stuart, Princess of England, on 12 February 1650. She and Karl I Ludwig Kurfürst von der Pfalz were divorced circa 1657. 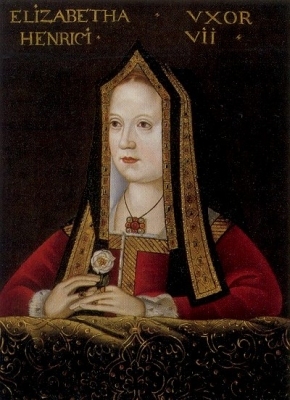 She died on 16 March 1686 at age 58. She gained the title of Landgräfin von Hessen-Kassel. [S6] Cokayne, and others, The Complete Peerage, volume XII/2, page 919. [S11] Alison Weir, Britain's Royal Families: The Complete Genealogy (London, U.K.: The Bodley Head, 1999), page 149. Hereinafter cited as Britain's Royal Families. [S11] Alison Weir, Britain's Royal Families, page 151. 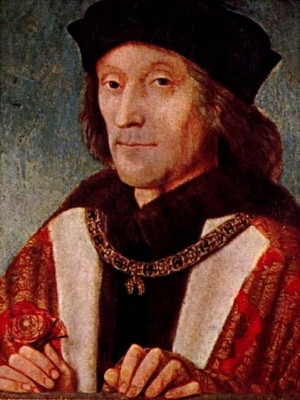 [S18] Matthew H.C.G., editor, Dictionary of National Biography on CD-ROM (Oxford, U.K.: Oxford University Press, 1995), reference "Henry VII, 1457-1509". Hereinafter cited as Dictionary of National Biography. [S6] Cokayne, and others, The Complete Peerage, volume III, page 175. [S6] G.E. Cokayne; with Vicary Gibbs, H.A. Doubleday, Geoffrey H. White, Duncan Warrand and Lord Howard de Walden, editors, The Complete Peerage of England, Scotland, Ireland, Great Britain and the United Kingdom, Extant, Extinct or Dormant, new ed., 13 volumes in 14 (1910-1959; reprint in 6 volumes, Gloucester, U.K.: Alan Sutton Publishing, 2000), volume XII/2, page 914. Hereinafter cited as The Complete Peerage.